Brilliant concept map allowing visited destinations to be scratched off, revealing the beautifully styled up-to-date world map underneath. Maps International have been making maps for over 50 years. The Scratch the World poster has been created by our team of expert cartographers, and demonstrates the highest quality mapping you can see. 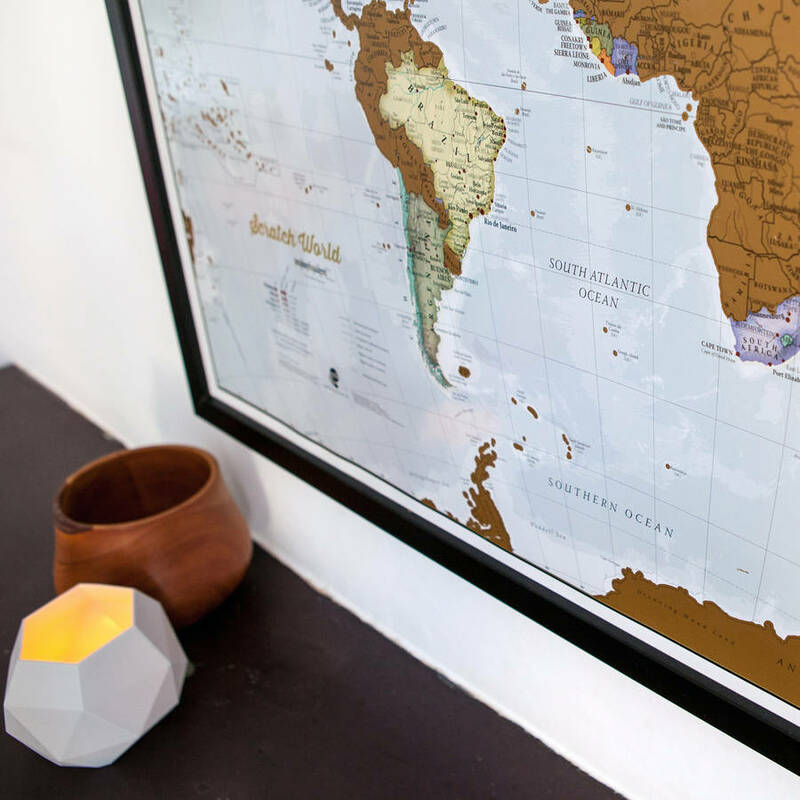 It's the perfect map gift for the travel enthusiast. Our Scratch The World map allows complete personalisation to record a unique travel story. 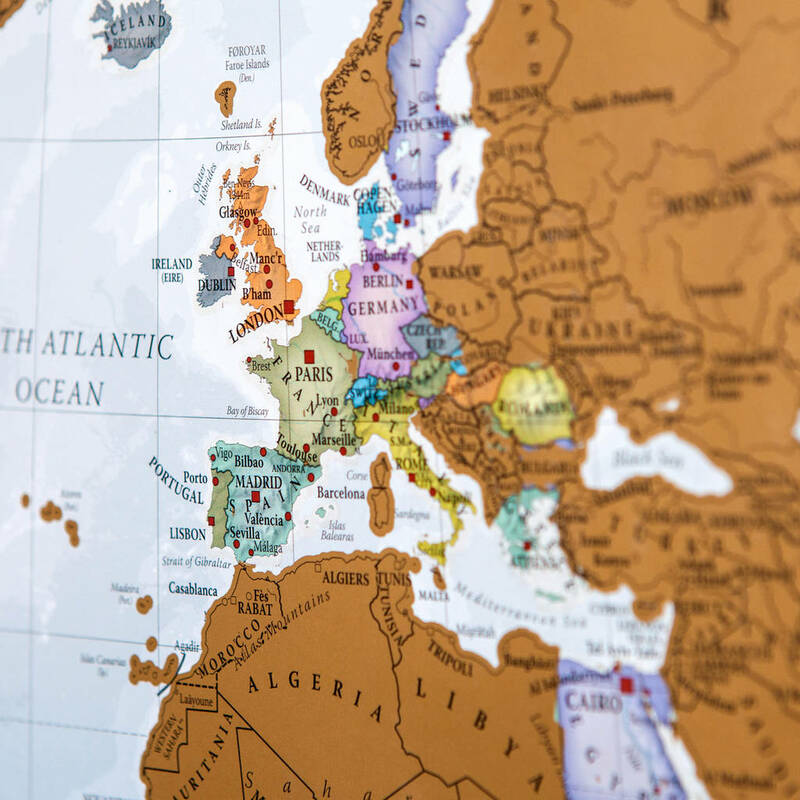 Simply grab your coin and start scratching off all the destinations you have been lucky enough to visit, creating your own personalised, continually changing world map. There are also cities shown on the top layer and the world map underneath, allowing for more detailed scratching. 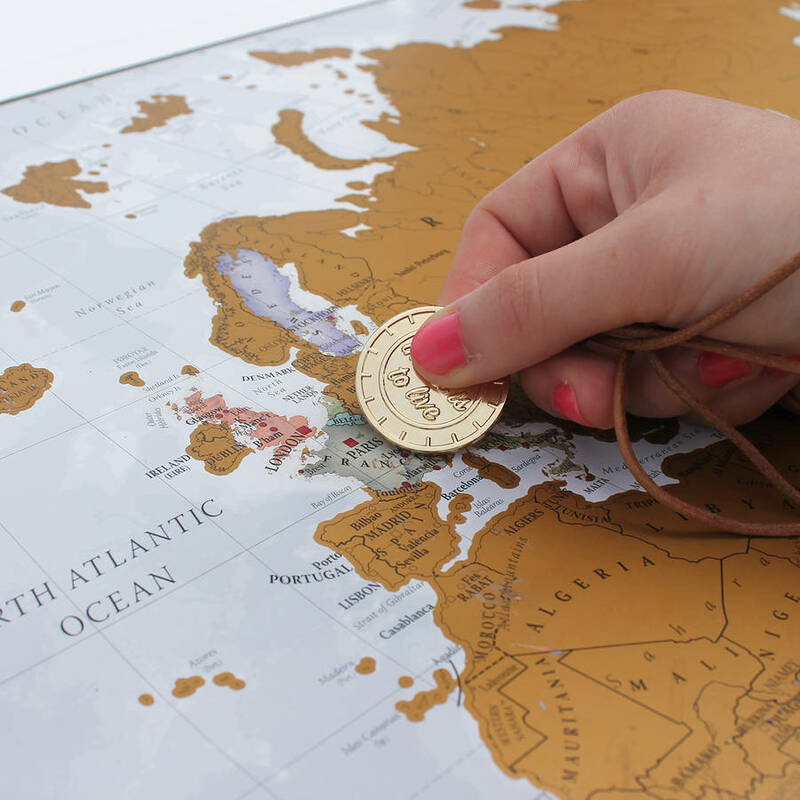 Included with each Scratch the World print is a travel inspired coin that can be used to scratch off destinations. The gold coloured coin has a compass design on one side, and on the other the embossed words 'To Travel Is To Live'. 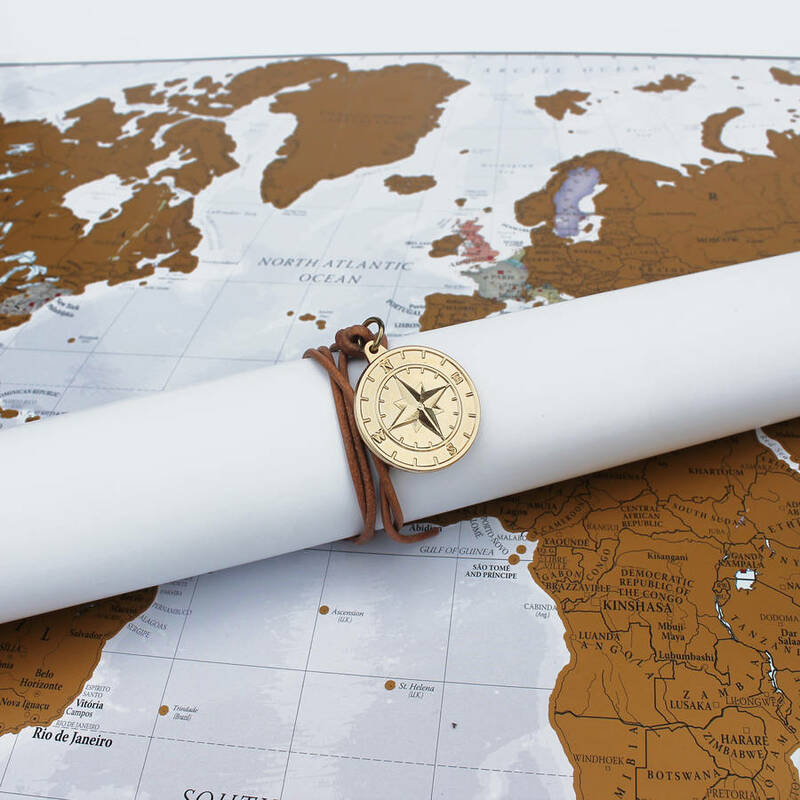 The coin has a leather string attached, which can be used to tie your rolled up map. The coin is presented in a hessian pouch. 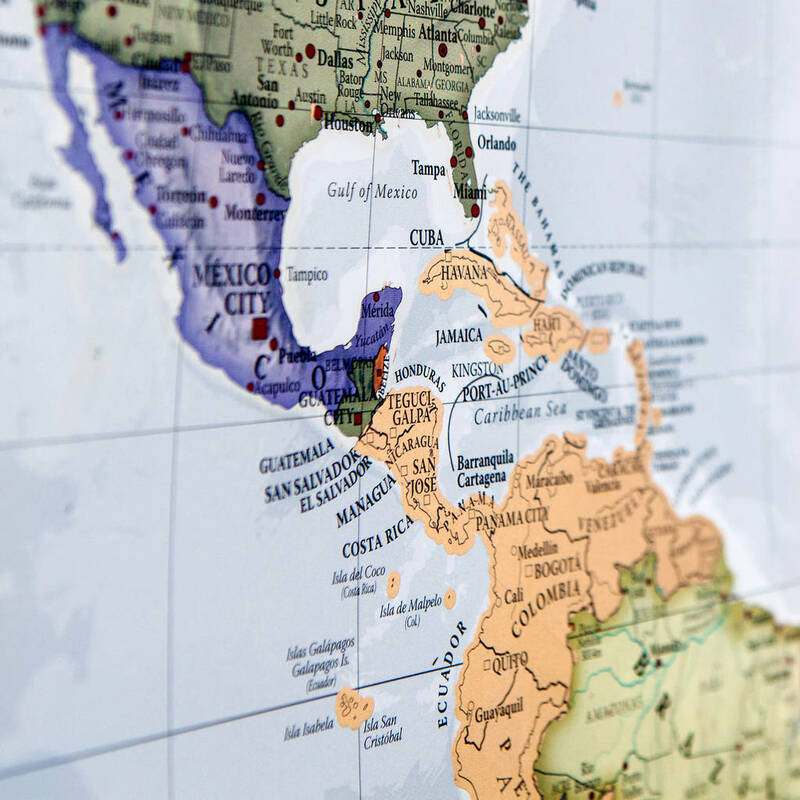 Designed by specialist map makers, these beautiful maps are created by our teams of expert cartographers-- so detail as well as design is what we do best. Our philosophy of 'Good Cartography' is what we hope people will love and appreciate. Scratch the World ® is a registered trade mark in the UK of Lovell Johns Ltd. 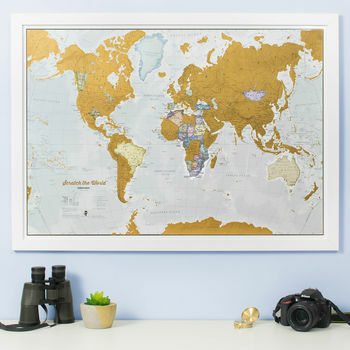 Gift wrap: Complete your gift by adding map gift wrap to your order. Choose from two designs. If you opt for gift wrap, one sheet 100gsm (50 x 70cm) is supplied and is large enough to wrap two tubes. Please note this is not a gift wrapping service. The sheet is folded once down to 35 x 50 cm and rolled into the tube with the map to be mailed. 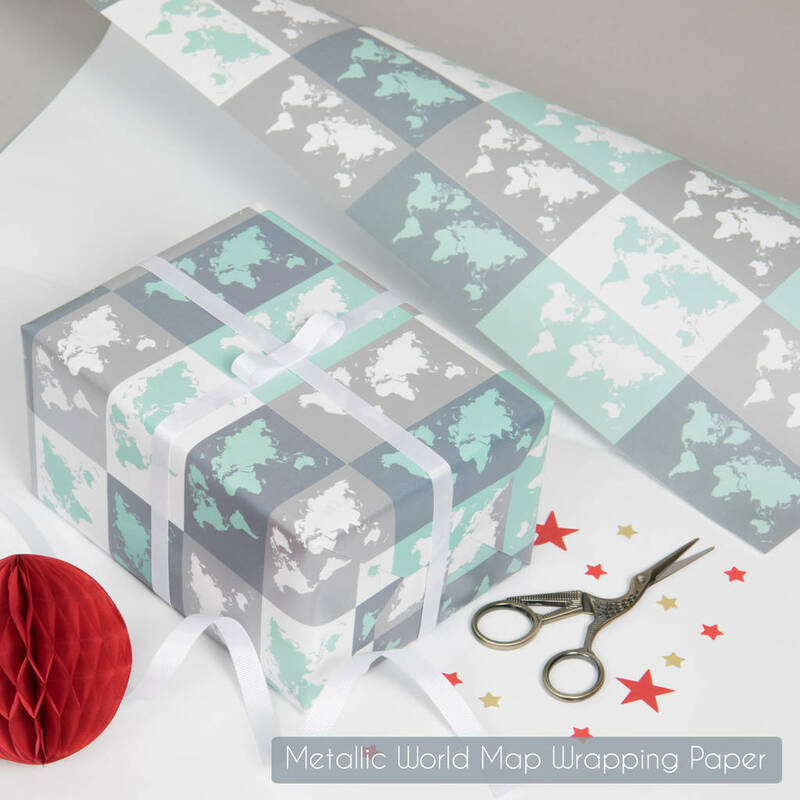 Metallic World Map Gift Wrap - Our abstract metallic world map gift wrapping paper features minimal world maps in a repeating pop art style pattern, in a cool blue and silver colour scheme. 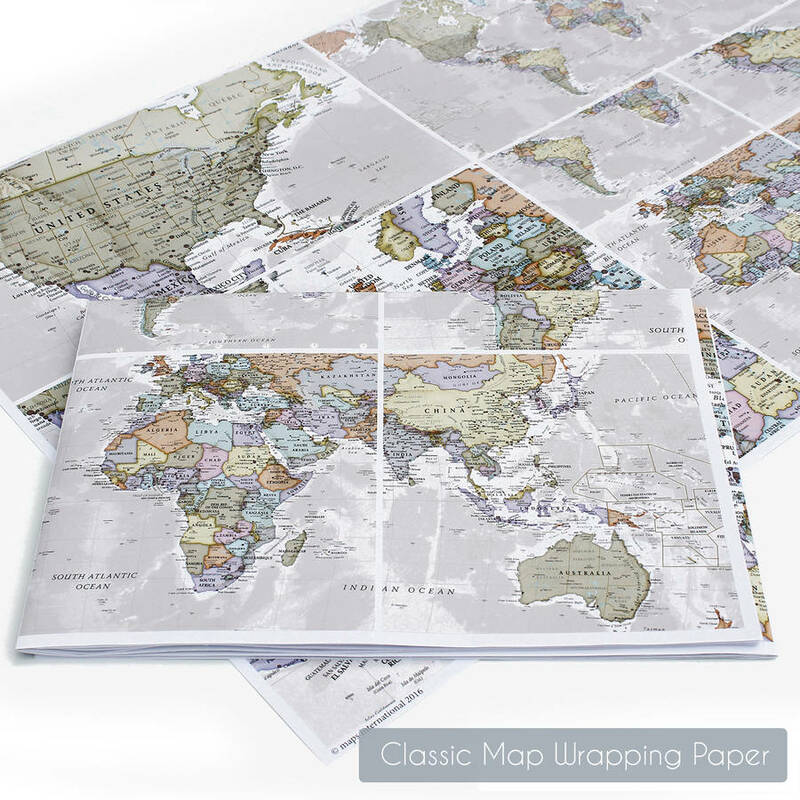 Classic World Map Gift Wrap - Beautiful map gift wrapping paper designed from our classic world map. Each section of paper shows a carefully selected area from our well known world map. 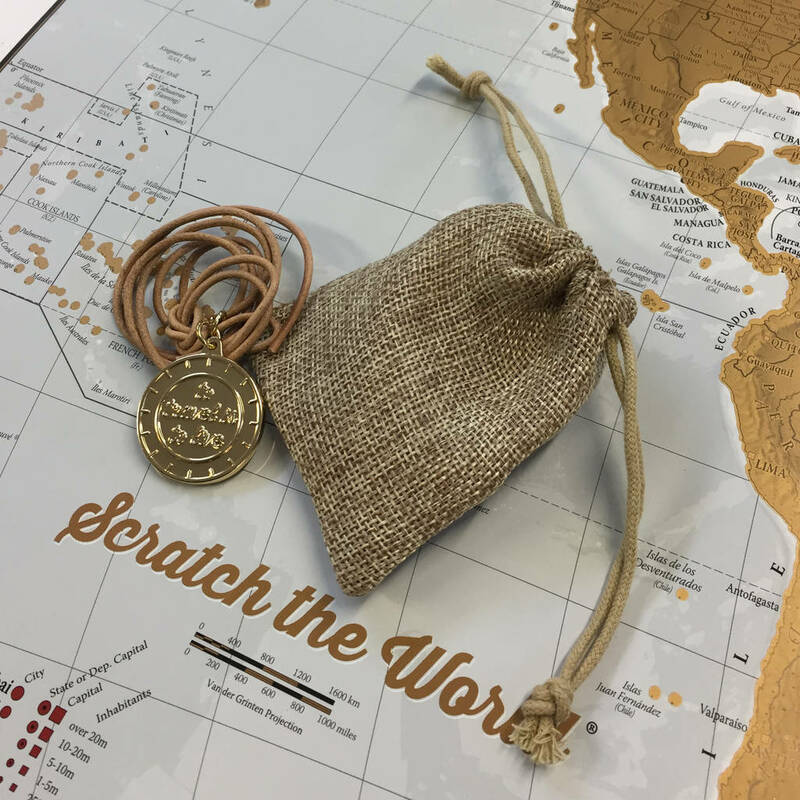 1 x Scratch the World - one Scratch the World print and one coin in a hessian pouch will be delivered in one tube. 2 x Scratch the World - two Scratch the World prints and two coins, each in their own hessian pouch, will be delivered in one tube. If you require two or more Scratch the World prints, each with a coin and hessian pouch, delivered in their own individual tubes, please choose 1 x Scratch the World and change the quantity to your required amount. The Scratch the World poster is printed onto high quality silk art paper with a gloss coating for luxury. Once the gold scratch is removed it reveals the mapping underneath. Scratch coin: Gold coloured coin with leather tie presented in a hessian bag. Frame: Not supplied. See our other listing which includes the frame. This product is dispatched to you by Maps International.